Noise barriers, urban parks, prisons, slag heaps, railway stations, housing estates, motorways and industrial heritage: these are all part of Observatorium’s field of operations. This consortium of three artists has developed a distinctive philosophy and working procedure. Observatorium takes the grey areas and overlaps of urban design, landscape architecture, architecture and art, and make them productive. Instead of creating autonomous art in public space, Observatorium uses the media of sculpture and installation to make functional facilities. The results are monumental, symbolic and meaningful. As a way of communicating their knowledge, Observatorium founded the Open Air University. It presents student workshops and programmes of co-creation. 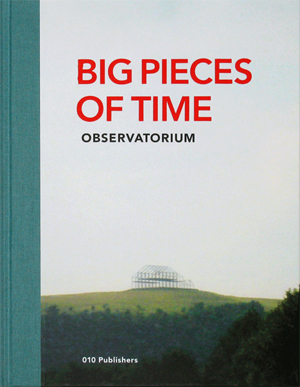 Big Pieces of Time is an overview of their design philosophy and is itself shaped by it. It is a text which informs, philosophizes, inspires and goes discipline-hopping. 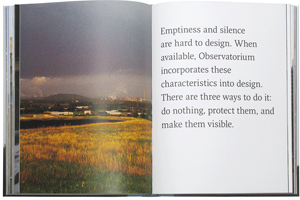 The photographs, illustrations and narratives together form a lively and evocative account of Observatorium’s projects. It includes some intriguing reflections by members of the public who have inhabited the sculptures. 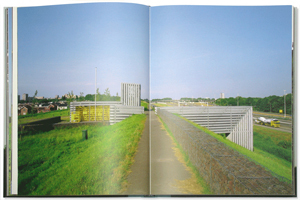 The book concludes with a selected list of Observatorium’s works, ranging from small scale handwork to urban design. Noise barriers, urban parks, prisons, slag heaps, railway stations, housing estates, motorways and industrial heritage: these are all part of Observatorium’s field of operations. This consortium of three Rotterdam-based artists has developed a distinctive philosophy and working procedure. Big Pieces of Time is an overview of their design philosophy and is itself shaped by it. It is a text which informs, philosophizes, inspires and goes discipline-hopping. 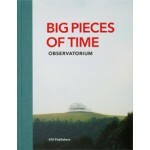 The photographs, illustrations and narratives together form a lively and evocative account of Observatorium’s projects. It includes some intriguing reflections by members of the public who have inhabited the sculptures. 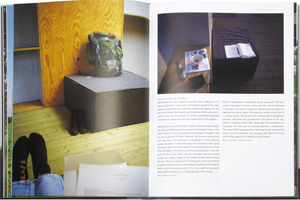 The book concludes with a selected list of Observatorium’s works, ranging from small scale handwork to urban design. The summary indicates a geographical reach that takes in New York, Rotterdam, Essen, Dresden and Krasnoyarsk. Het werk zelf, de kunstenaars of het publiek zijn aan het woord in deze catalogus. Filosofie en woorden zijn mooi om een werk te ondersteunen. Als je de filosofie tevens van het werk af kunt lezen is dat mooi meegenomen. Ik moet de kunstenaars nageven dat dit bij hun werk lukt.